Mince is one of those ingredients that most families will cook with at least once a week. We certainly do! Think spaghetti bolognese, meatloaf, hamburgers. 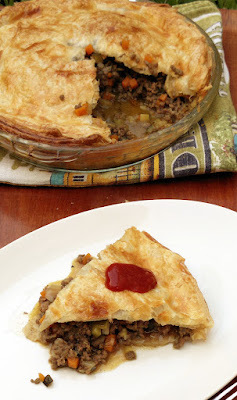 You can also use mince to make a pie with great results and for less money than using even the cheapest cut of steak. Add a healthy serve of veges and some yummy herbs and you have a complete meal that even the kids will like! Preheat the oven to 180 degrees Celsius (fan-forced). Grease a 24cm round glass pie dish. Line the base and sides with 1 1/2 sheets of of pastry. Trim the excess. 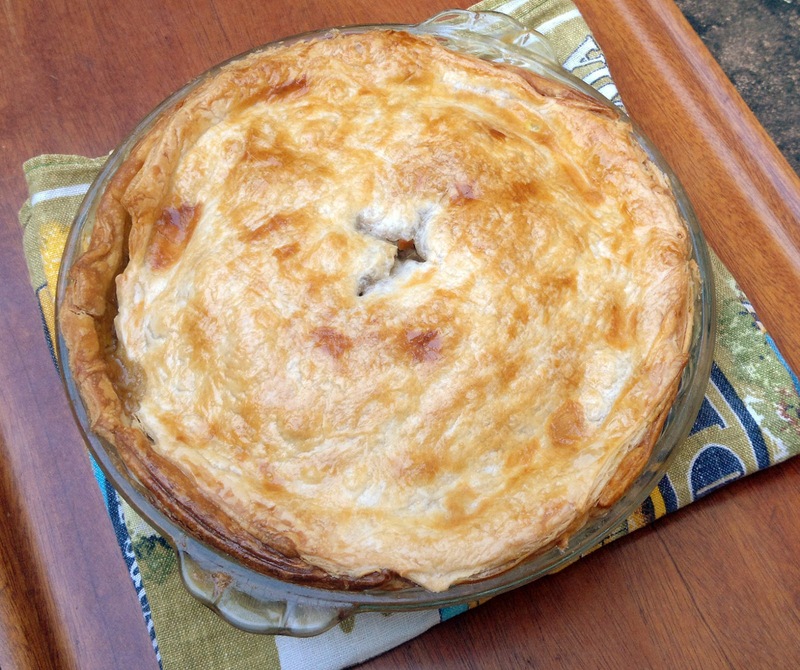 Line the pastry shell with with baking paper then fill with pie weights or uncooked rice. Bake for 20 minutes or until the edges of the pastry are light golden brown. Carefully remove the rice and paper then return the pastry to the oven for a further 5-10 minutes. While the pastry is baking, heat oil in a large saucepan over medium heat and fry off the onion, carrot and zucchini for 5 minutes or until the vegetables are beginning to soften. Add the mince and herbs and cook, stirring to break up the meat, for 5 minutes or until browned. Add the stock, gravy powder and Worcestershire sauce. Bring to the boil. Reduce the heat to medium-low and simmer for approx 15 minutes or until most of the liquid has evaporated. You should be left with a moist, but not runny, mixture. Allow mince to cool for 10 minutes before spooning into the pastry base. Top with the remaining pastry, pressing the edges to seal. Brush the top with beaten egg. Cut a cross in the centre of the pastry to allow the steam to vent and bake for approx 30 minutes or until golden brown. Stand for 10 minutes before serving with plenty of tomato sauce and a green salad.